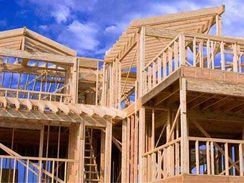 Yarra Valley Building Inspections Pty Ltd provides class 1 & 10 building inspections, Bush Fire Management Overlay Statements including plan BMO, Bush Fire Assessments BAL. Our Team are a qualified, committed group who understand the difficulties that can be encountered in the Building Industry. Report turn around is generally within 10 days. Covering all areas including: Melbourne, Cardinia Shire, Mitchell Shire, Murrindindi Shire, Knox, Moorabool, Wyndham, Whittlesea, Yarra Valley, Berwick, Nillimbik Shire, Hume Shire, Upper Beaconsfield, Yarra Junction, Casey, Wyndham, Mitchell, Pakenham, Cranbourne, Clyde, Craigieburn, Melton, Greenvale, Truganina, Narre Warren, Lynbrook. Click below to see more info. on the following services.